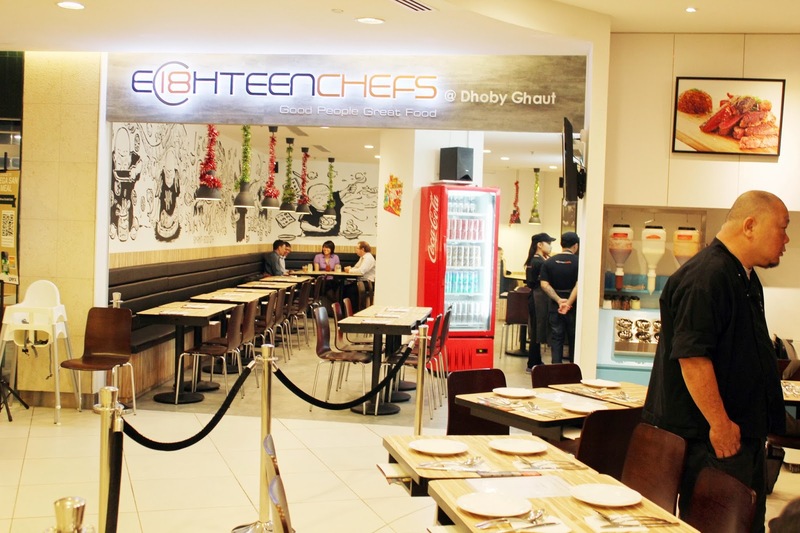 Eighteen Chefs has opened another outlet at The Cathay! Whoohooo! If you read my blog, I previously blogged about Eighteen Chefs at Cineleisure . I'm happy to be invited again to try out a new set of food that they will be introducing. 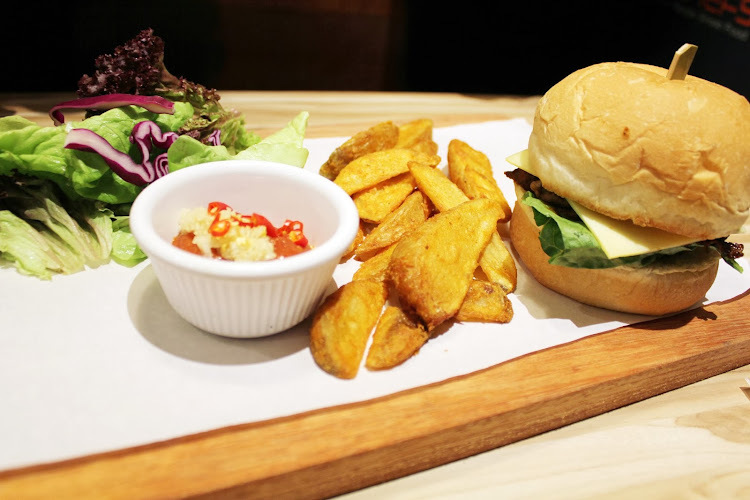 Now at The Cathay, you will have another option to dine at with so many f&b choices, you would definitely have a headache deciding where you wanna eat hahaha! The new outlet is located at the basement of The Cathay at Dhouby Ghaut. 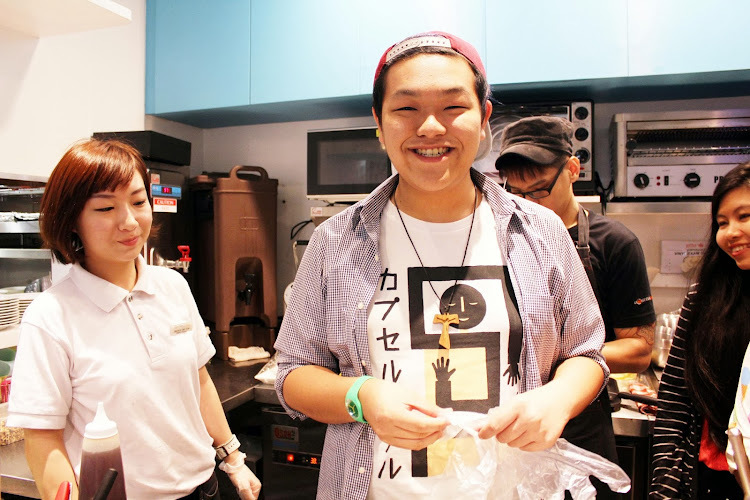 I have been a loyal "fan" of Eighteen Chefs since they opened their first outlet at East Point (Simei). Used to be my favourite place to chill after school! 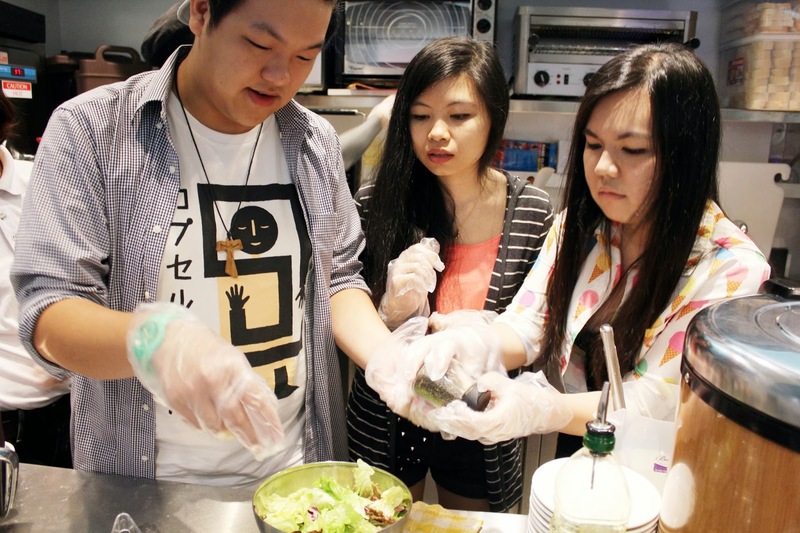 The food tasting kicked off with a demonstration of teaching us how to make a perfect salad. We then got a chance to make our very own salad (provided if we follow the correct instructions). There was a mini-competition because we were separated into 2 groups! 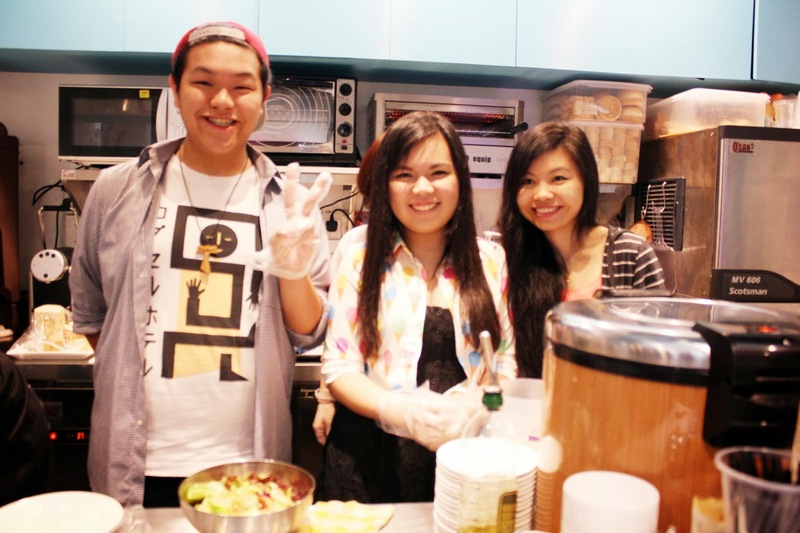 The winning team that makes the best salad gets a small token! I was paired up with Cheryl and Xue Ling. It does not seem as easy as it looks. 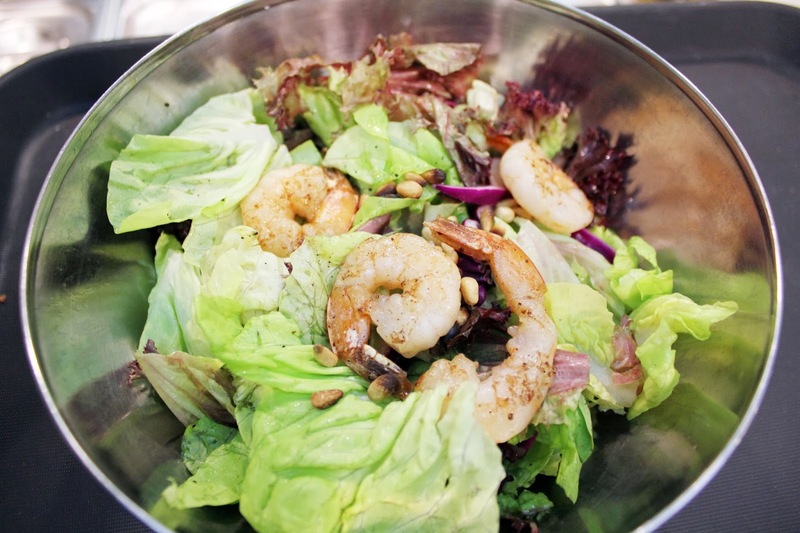 You will also need to have the "chef feel" in order to make the perfect salad! I was kinda skeptical because I do not know how much seasoning I'm supposed to add. You know sometimes if you add to little, then the salad will have no taste, or if you add to much then the flavour is too strong. So I guess you need to have the "instinct"!! *drum rolls* TAHHHDAHHH!! Salad ready to be served! 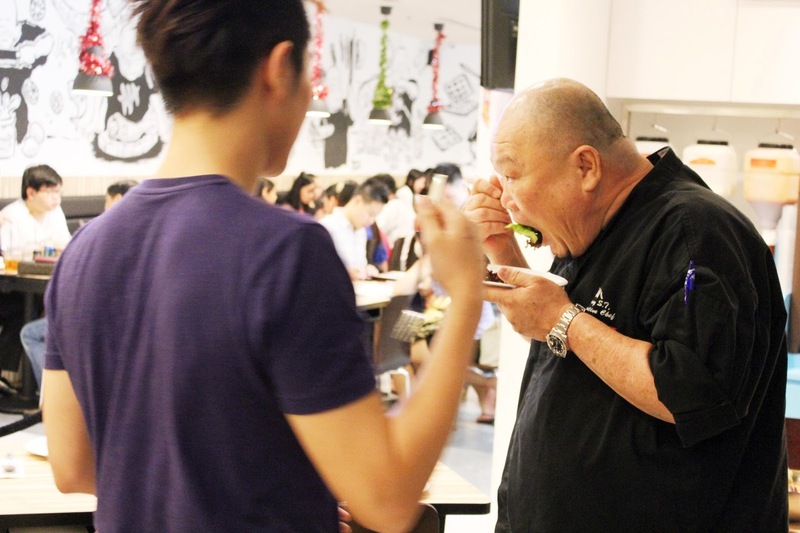 Chef Benny did the honor of tasting our salad! It's not some usual salad you know but the amount of ingredients they used are very generous. One of the premium ingredients are pine nuts which are very expensive in the market but extremely delicious and has it's health benefits because it's high in it's nutrition and also rich in vitamin A that helps you to boost your strength for your bones. 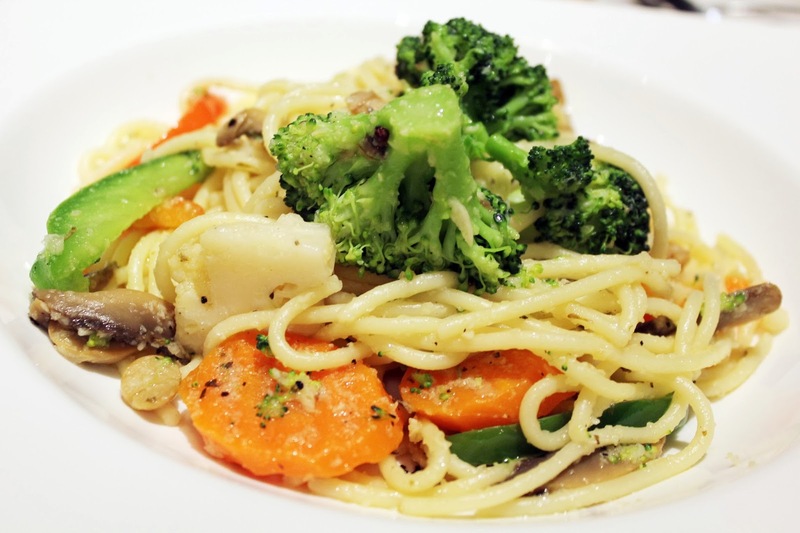 For the health conscious and vegetarian, Eighteen Chefs do offer vegetarian pasta!! 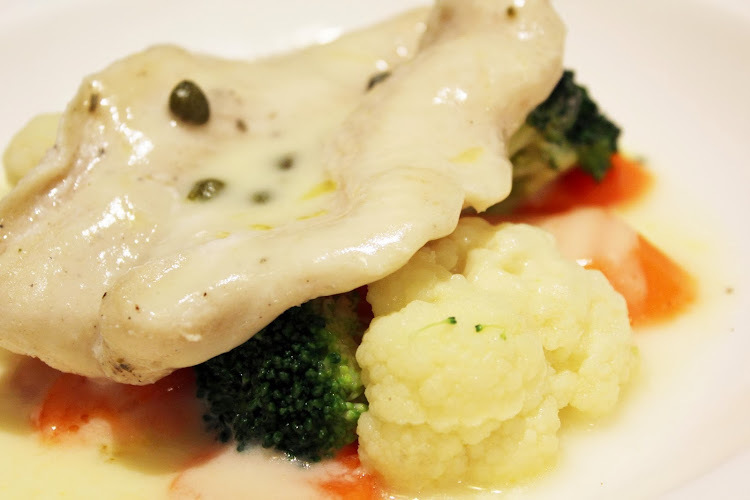 Filled with hearty amounts of broccoli, carrots, mushrooms, cauliflower and seasoned with Aglio Olio seasoning. For a price of $5.80, I feel that it is definitely value for money! The pasta was delicious and the taste of it was slightly peppery and it was full of it's flavour. Something that I would recommend you guys to try out! Remember to add the *cheese powder*!! Craving for something creamy?! Well this has got to be one of your choice! The slice of dory fish is topped with fragrant lemon sauce which enhanced the entire taste of it. 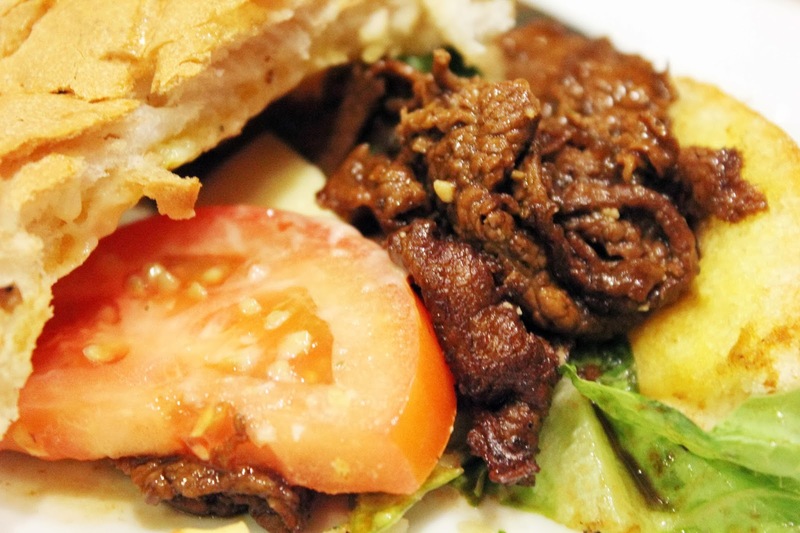 It was one of my favorite dishes and I would be coming back for more. Despite, small in portion the fish tasted fresh and succulent, it wasn't disappointing as I was highly enticed with the dish. It's something that I would be willing to spend on. 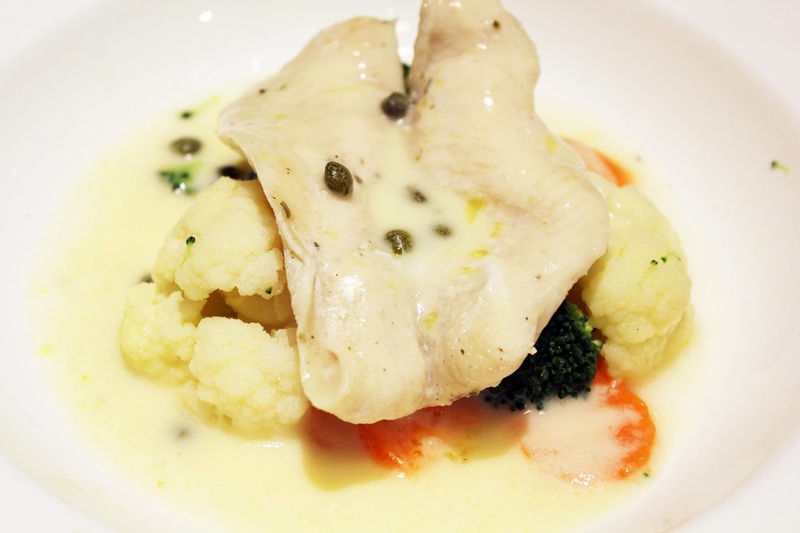 The dory fish is also accompanied with generous amount of vegetables. 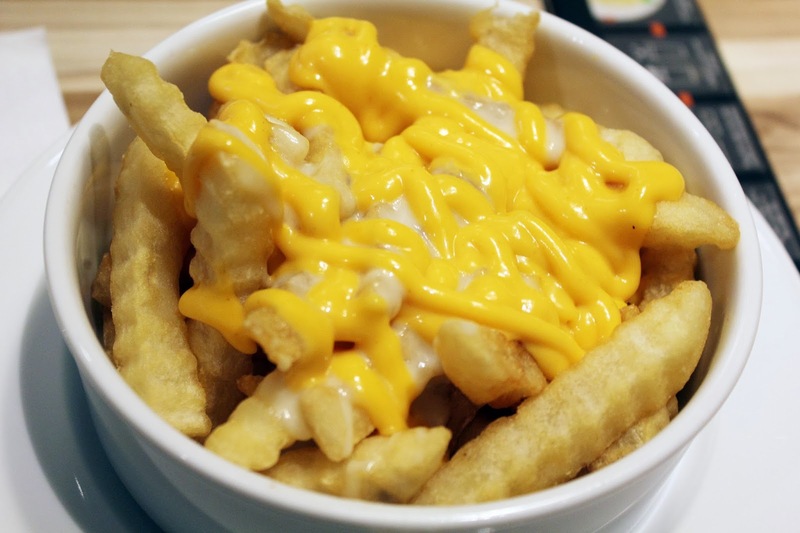 To end off with the last dish, you got to try their sambal cheese fries as it is one of their popular side dishes. 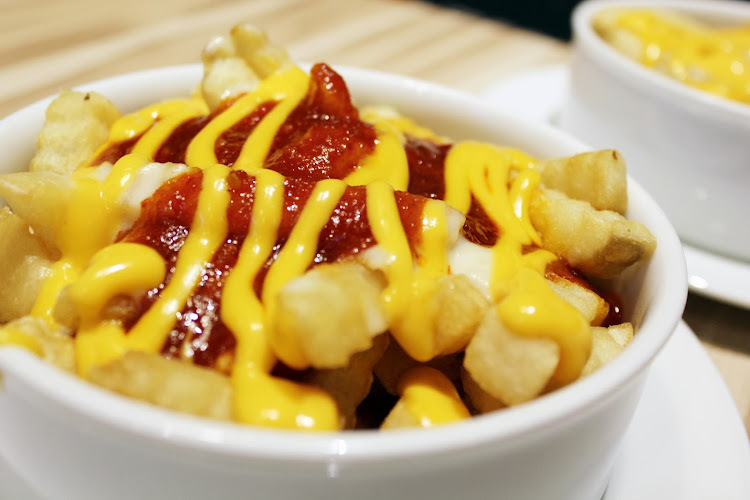 The amount of fries given is able to be shared among 3-4 people. Don't say I never share hor, they are currently having a promotion for students and senior citizen! Go go! scrumptious collection of the 18 chefs menu. It's in deed awe-inspiring - the dishes as well as the photography. lip smacking, can't wait to tasty platters thrown on this blog.